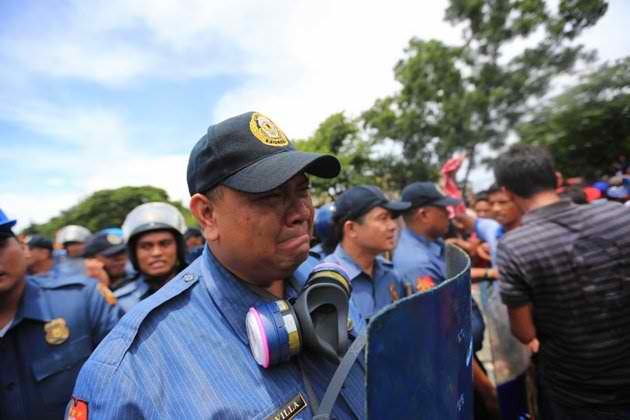 PO1 Sevilla tries to hold his tears but simply can’t. 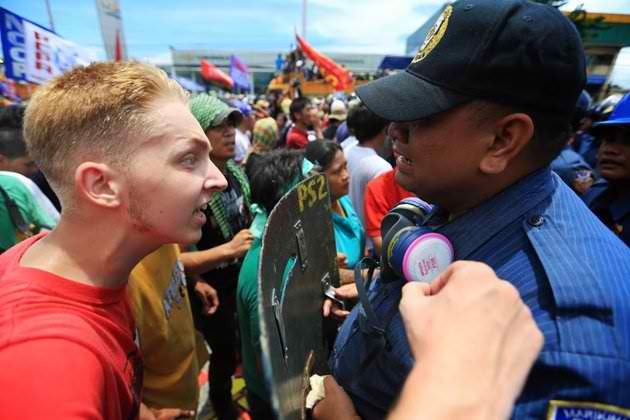 With no proper rest, no proper meal and a violent protest being dispersed violently and with extreme exhaustion, he still stood his ground. 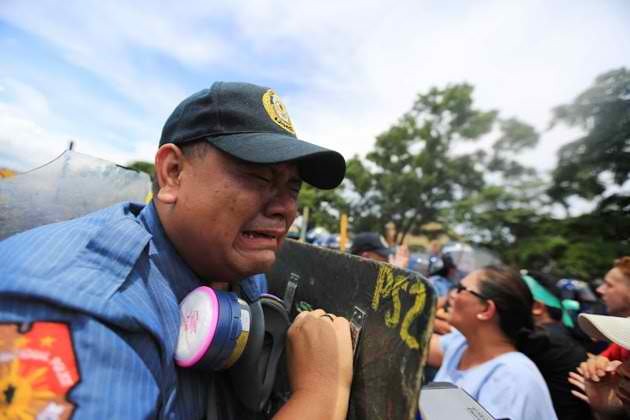 Some protesters apparently notice the crying cop and settled down. Some tried to console him as he tries so hard to control his emotions and tears. 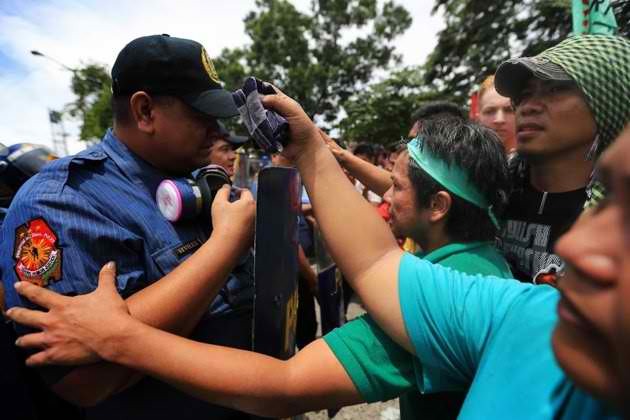 Some protesters tap his shoulders and offers him handkerchief to wipe his tears. He finally gave in to his urge and started to silently weep as another violent turmoil starts in front of him. As another violent clash ensues. 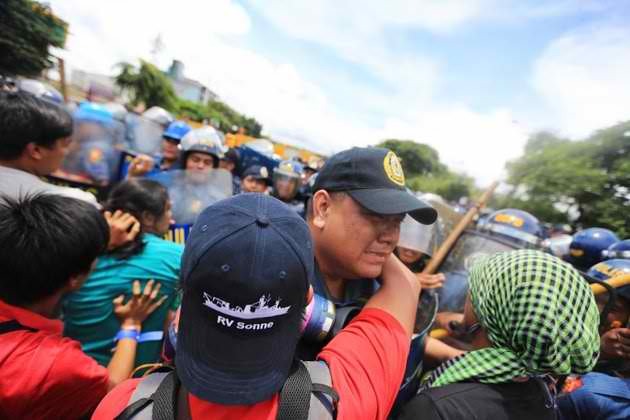 He stood his ground despite of some protesters throwing rocks and bottles. 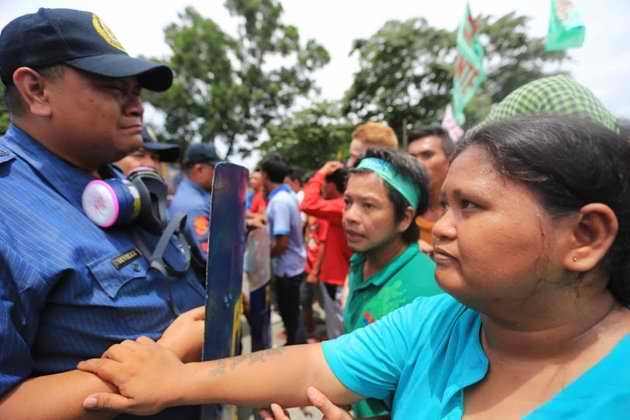 Before he was remove in the front line, some protesters tried to protect him and hug so that the other protesters wont harm him. 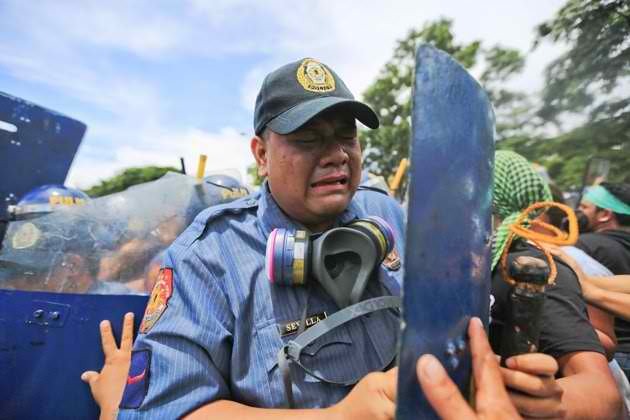 After this incident, some people considered PO1 Sevilla as an example of humility, a seeker of peace and a loyal servant of justice. 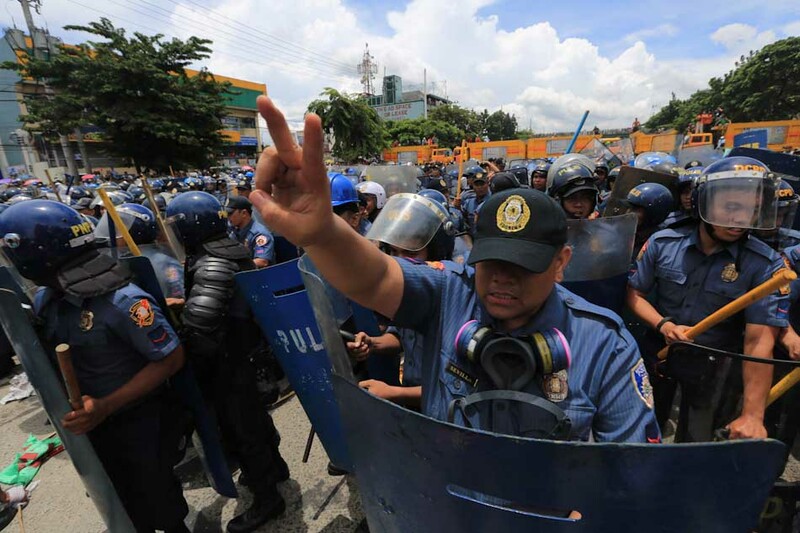 Police Officer 1 Joselito Sevilla flashes the peace sign in between scuffles. He so touches my heart.